Carrizalillo, a small cove with gentle waves just north of the main beach, seen from Restaurante El Espadin. All photos by Natasha Hecher. Puerto Escondido, the Pacific Coast beach town in Oaxaca, is Natasha Hecher's annual go-to destination. (The town is also outrageously popular with Norwegians.) She shared her one-woman, glow-in-the-dark swamp adventure with us, and we liked it so much we wanted her take on the whole town. PUERTO ESCONDIDO, Mexico – I am not a surfer, but every year I spend a month here before or after working the ski season in Europe. I am attracted to the aesthetics of the surf, the sunshine, the laid-back lifestyle, the lack of tourists, and the very affordable cost of living. Puerto Escondido is divided into five pockets that run from west to east on the Pacific Coast. A small cove just west of Zicatela where a reef break causes waves break farther out, resulting in few, if any, waves on the shore. This spot is great for swimming and beginner surf lessons. You have to walk down a lot of steps to get there, but it's worth it. 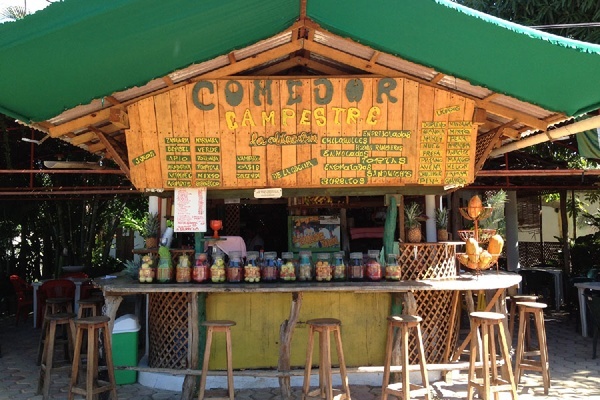 There are lots of cute restaurants, and, if your food and drink bill exceeds 100 pesos, the sun chair rental is free. The old tourist center where the boats come in. A bit past its prime unless you're looking for magnets and postcards. The streets are closed to cars in the evening to make room for an artisan market. This is the main beach and tourist area. The Zicatela surf break draws people from all over the world, and the beach break is known as The Pipeline of Mexico. The main drag is full of hotels, shops, bars, waterfront restaurants, travel agents, and tour operators. The town center is a five-minutes drive uphill from Zicatela. Hot, steamy, and vibrant, the main attraction is the mercado. La Punta is connected to Zicatela beach, but is considered a separate surf area for its point break. (See, even non surfers pick up the lingo.) The community has its own village feel and is my favorite part of town. 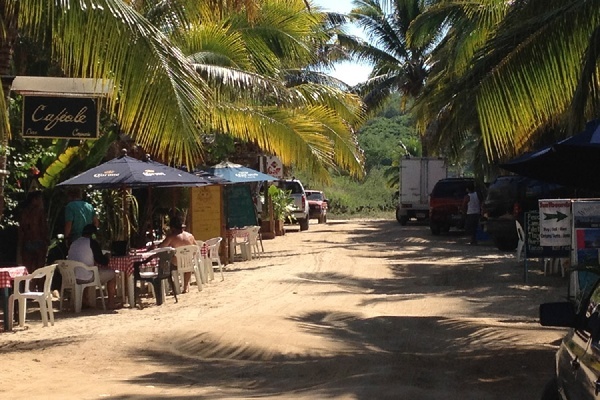 I love the unpaved roads and the restaurants, bars, and surf shops shaded by palm trees. Stand up paddleboarding. Photo courtesy of Azulea Adventures. Care for some sun-dried grasshoppers? 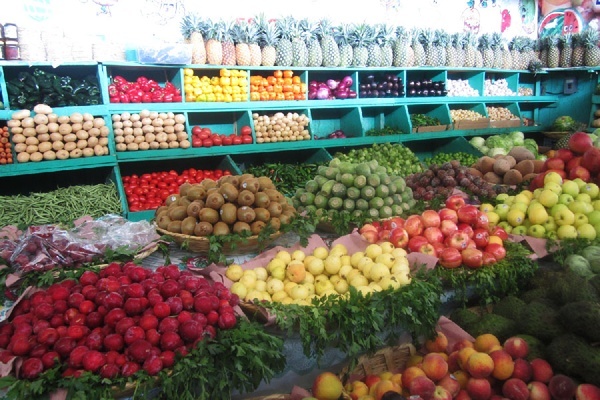 The colorful fruit section at the local mercado. Puerto Escondido consistently ranks amongst the top ten surf spots in the world. Many schools offer lessons for all levels. 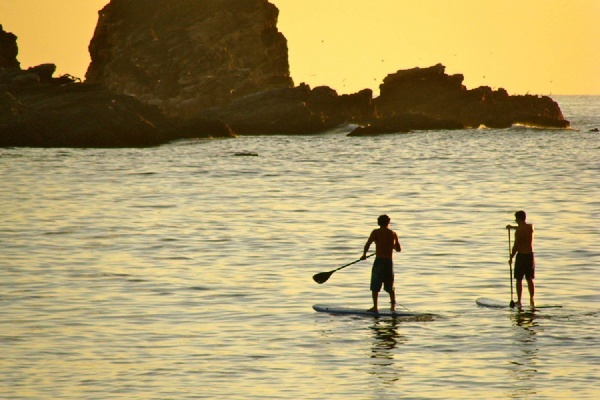 Stand-up paddleboarding is an increasingly popular alternative that's more relaxed while still providing a great workout and fun in the water. Mercado Benito Juarez is row after row of goodness: fruit, vegetables, juices, flowers, meat, clothing. The best day is Saturday, when the local farmers show up. 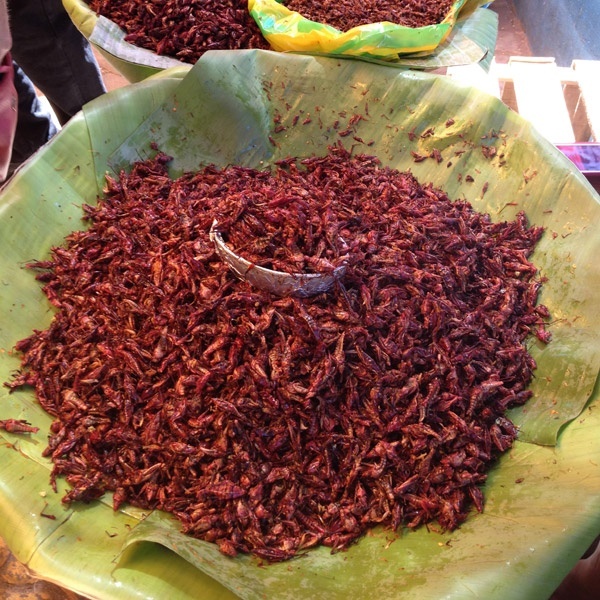 Don't miss Oaxacan delicacies, especially chapulines, sun-dried grasshoppers flavored with chili. 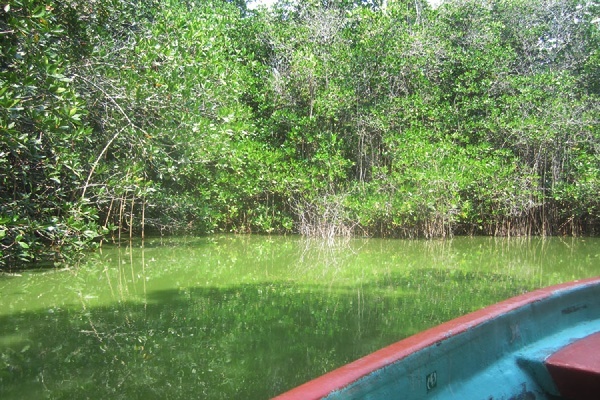 A boat ride in Laguna de Manialtepec. I went to Laguna de Manialtepec for the phosphorescence at night (and wrote about it on Fathom), but a day tour gives you a chance to see the diversity of wildlife in the lagoon and the surrounding mangroves. Next to Laguna de Manialtepec is Lagunas de Chacahua. If you take a boat 45 minutes through the lagoon and mangroves (not counting a stop at a crocodile sanctuary), you come to a remote beach that's the perfect place to finish the last 50 pages of your book. There's nothing to do here but swim, surf, and eat. When you are ready to go, tap your boat driver on the shoulder. He probably fell asleep in a hammock. The main drag of Zicatela is packed with tour companies offering for day trips, but I recommend two in particular. Ruthanna and Carlos are a great example of what is right about Puerto Escondido: She is a Seattle native who has been here for fifteen years; he is a local. Her knowledge and sense of fun, combined with his chilled approach to teaching surfing and paddle-boarding make for a pretty cruisy and diverse vacation. Fish tacos at Maui in La Punta. 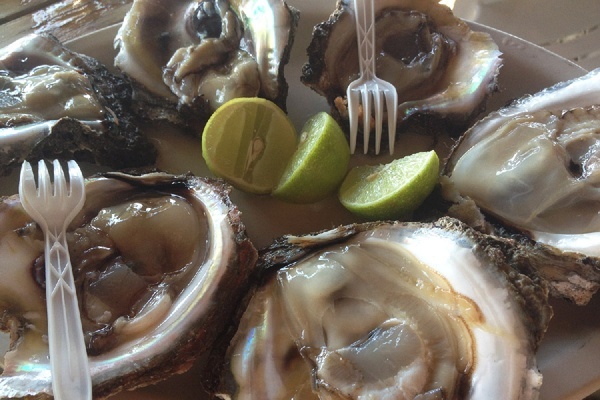 Fresh oysters at Agua Blanca. Far and away my favorite spot, it is not in a tourist area, but on the highway. (Look for the pirate ship out front.) I come for the amazing chilaquile (breakfast nachos with eggs, avocado, green salsa, and corn chips) and juices, like verde, made with greens and grapefruit. The La Punta spot makes the most delicious tlayudas, which are like Oaxacan pizza. They don't skimp on the toppings and at 45 pesos (approximately $3), you cannot go wrong. 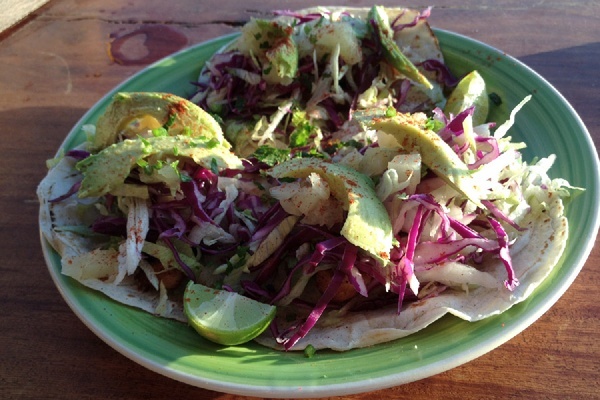 A new addition to La Punta, with a small menu that includes amazing deluxe fish tacos. I could eat six, but I try to restrain myself and only have three. With a drink, it costs less than 100 pesos. If you want to watch the sunset from a cliff overlooking a beautiful beach, this is the place. The view is so good, it wouldn't matter if the food were terrible. But it's not. It's delicious. Expensive by Mexico standards, it is still very affordable by traveler standards. 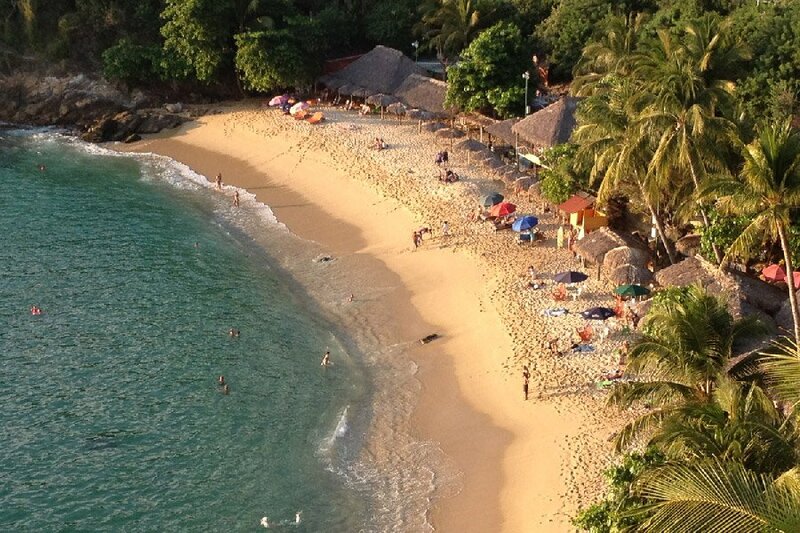 A beach that's a 15-minute drive from Puerto Escondido. Full of ramshackle establishments, the oysters here are the freshest I have ever had and are nicely washed down with coconut milk. The corner store near Sunset Point. This is where I always stay. Owned by Australian Chris Rex, it is an eight-minute walk uphill. I love this walk, because it brings home where I am. Toddlers play on the unpaved roads, I buy eggs from a corner store that looks like a shack, and everyone says hola when I pass. It's affordable and most rooms have kitchens. The huge pool in the middle of the property is a wonderful spot to watch the sunset. The is the place to stay if you want to be on the main drag of Zicatela. Everyone says it has the best steak in town. I need to find a nice lover who treats me right. And by "right" I mean takes me here. Every time I walk into El Espadin, the villa's restaurant, I sigh and think, "One day…"
La Punta, a quieter village outside the main part of Puerto Escondido. Puerto Escondido's year is divided into two seasons: rainy and dry. Rainy runs from May to November; dry from December to April. The best time to go depends on what you are looking for. The phosphorescence is best during the rainy season, especially at peak time between late October and mid December. The waves are the biggest in July and August. Dry season is high season, and although prices hike up, you can still find deals. It doesn't rain in dry season and the waves are not as substantial, which makes the beaches more user-friendly for some, like me. 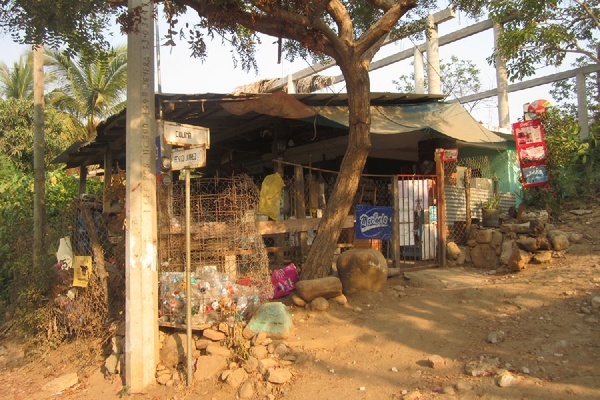 Puerto Escondido is not overrun by tourists, possibly because it only has a domestic airport. International airlines don't fly into Puerto Escondido. The domestic carriers that fly there are Viva Aerobus, Interjet, and Aeromar. When you land, go outside of the airport grounds to get a taxi. It will halve the cost. Hiring a car would be nice, but most things are within walking distance. When you need a ride, you can catch a colectivo (you clamber into the back of a truck with locals and pay a $0.50 fare; not glamourous, but fun) or take a very affordable taxi.